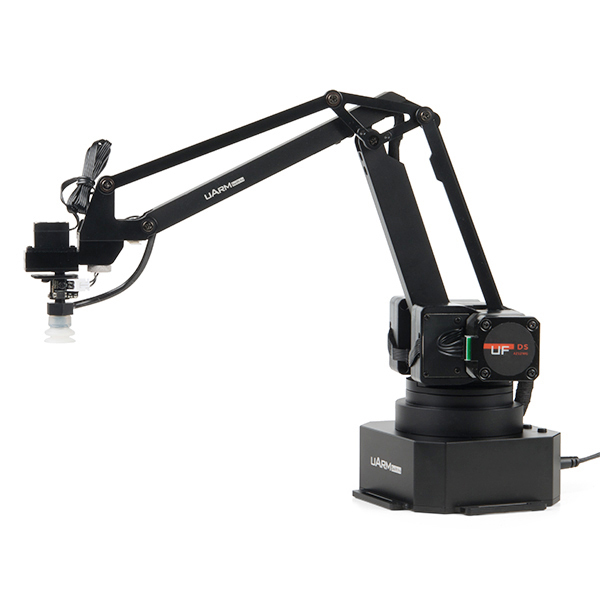 The uArm Swift Pro is a high grade desktop robotic arm which are developed for makers and STEAM education purposes. built around the Arduino Mega 2560, the uArm is open-source and DIY friendly. The uArm Swift Pro supports visual programming, Arduino, Python, GRABCAD and ROS programming as well as modules such as OpenMV camera, Seeed Grove Sensors and more. 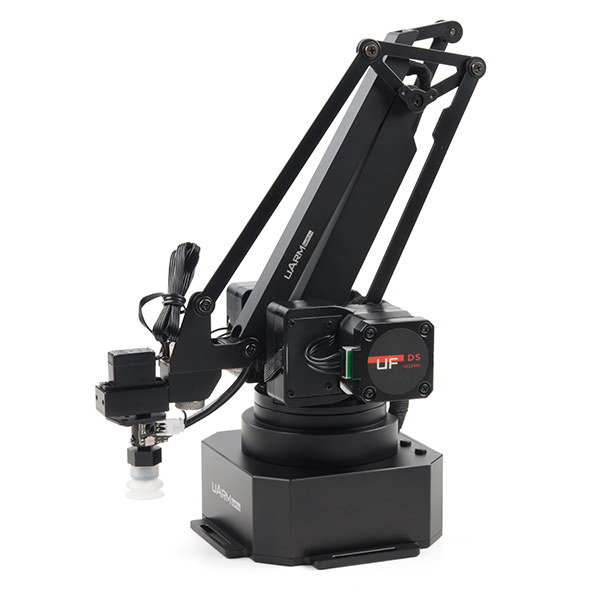 With high quality gearbox and stepper motors, uArm Swift pro has a high repeatability of 0.2 mm and 500g playload. It comes with multiple extension ports with which you can expand its functions by changing end-effector and adding sensor modules, which include; laser CNC head, 3D printing head, Vision Camera Kit and drawing pen. It’s extremely easy for almost anyone to learn how to use in a few minutes. Offline learning mode requires no coding experience or complicated assembling. You simply need to power it on, press record, teach it what to do by physically moving the arm. 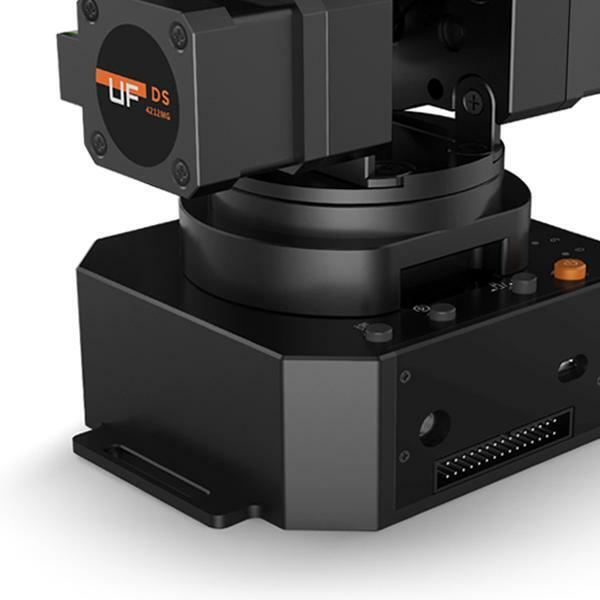 With high quality stepper motors and gearbox and advanced controlling algorithm embedded, uArm Swift Pro performs not only with accuracy but also with smoothness and stability. 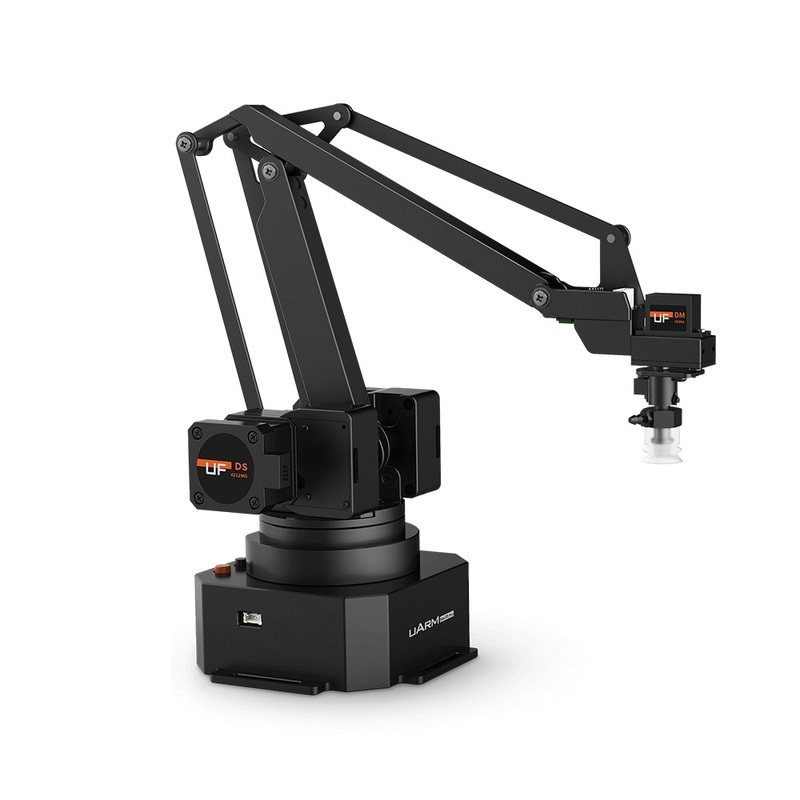 The arm is accurate enough to be used for 3D printing and laser engraving, using either CuraForuArm for printing or the built-in all in one software uArmStudio. Simply install the laser head or 3D printing pen (both sold separately) and you are ready to go. The uArm is perfect for all ages, from beginner on with no coding experience required. Blockly integration with uArmStudio makes it simple to start learning to program with an easy to follow graphic interface that guides you through the logic of programming without having to learn the code right away. uArm also comes with the mobile app uArm Play, which makes controlling the arm even easier.